Bayero University Kano, BUK Calendar Schedule for Completion of Second [2nd] Semester 2017/2018 Session and Revised Academic Calendar for 2018/2019 Academic Session for Undergraduates, 2018/2019 Academic Session. 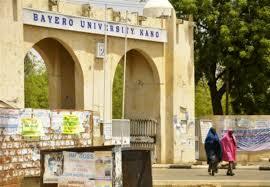 The Senate of the Bayero University Kano, BUK has approved a timetable for the completion of the second semester of the 2017/2018 academic session, a 2018/2019 revised academic calendar for undergraduate programmes and a registration timetable for undergraduate students. BUK Academic Calendar for Completion of 2nd Semester 2017/2018 Academic Session. Senate may wish to note that with this schedule of activities, the University will normalize its academic calendar with effect from the 2019/2020 session. The Senate Business Committee (SBC) will consider the possibility of a Mop-Up Third Semester (to reduce carryovers) at the end of 2018/2019 or 2019/2020 session.